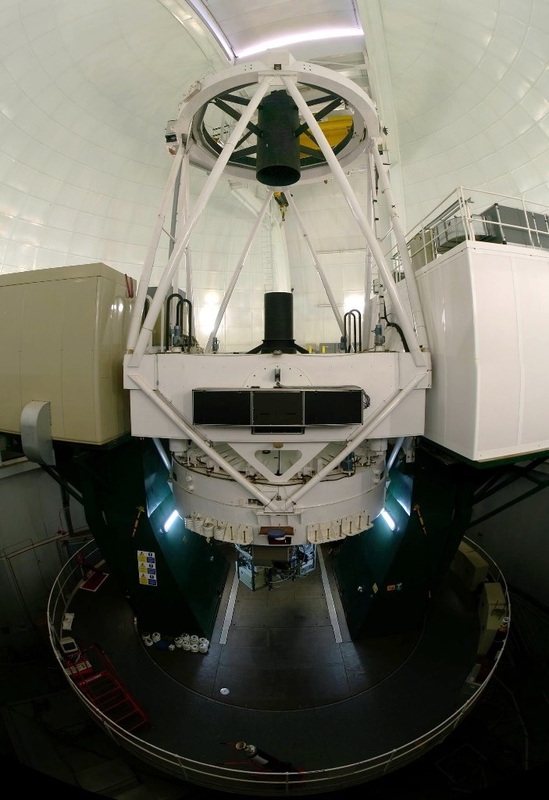 The William Herschel Telescope (WHT) has participated in 2014 and 2015 in a worldwide campaign to spectroscopically follow up Pluto from the ground in support of the encounter of NASA’s New Horizons spacecraft with Pluto. Constant monitoring of the surface of Pluto is necessary because it is known to be spectrally and photometrically variable from season to season, and probably during the whole secular calendar. By gathering data at different wavelengths astronomers are able to characterize the distribution of the materials which make up the surface and atmosphere in different ways, from the layers of volatile ices (bright, whitish areas made up of methane, nitrogen, and carbon monoxide) to the more complex organic residues, which are reddish. Last year Pluto was already observed for six nights using the WHT. The spectra, obtained using ACAM and planned as a series of overrides, showed two principal characteristics of the surface of Pluto, the clearest being the absorption bands due to methane ice. The second characteristic is the continuum slope of the spectrum which is an indicator of the colour of the surface. This colouring agent is not uniformly distributed over Pluto’s surface, but changes significantly during its rotation period, which is 6.4 Earth days. 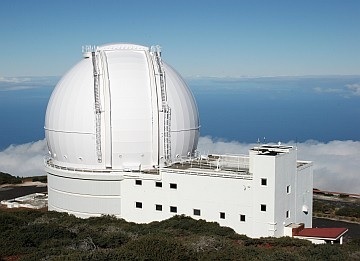 This year, the observations were planned in a similar way and for a period of 11 nights, from 3rd to 14th July, coinciding with the closest approach of New Horizons spacecraft with Pluto. The new spectra will provide an important independent calibration of the MVIC (Multispectral Visible Imaging Camera on board New Horizons). 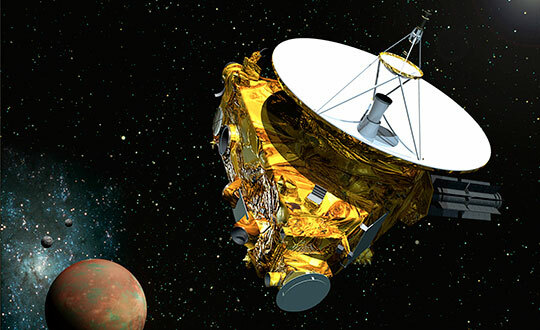 July 12th daily pre-flyby overview of the New Horizons mission, the spacecraft and its suite of instruments and a summary of Pluto science to date from the Johns Hopkins University Applied Physics Laboratory (APL) in Laurel, Maryland, site of the mission operations center. Researchers in an Arizona ice lab spend long hours making crystal-clear ice from mixes of methane, nitrogen and even carbon monoxide — and now, with data from the New Horizons mission to Pluto arriving soon, the lab’s time has come. The surface of Pluto is likely covered in a coarse mixture of ices that don’t resemble anything found naturally on Earth. The bitter cold on icy dwarf planets like Pluto and Eris, discovered in 2005, crystallizes blends of substances that on Earth occur more commonly as gases: mainly nitrogen, with a heaping dose of methane and a smattering of other molecules mixing things up. To understand the composition of a planet like Pluto from a distance, researchers measure the wavelengths of light that bounce off of the planet’s surface, by telescope or (when possible) much closer up, by spacecraft. Those distinctive wavelengths create a sort of fingerprint for different substances, and by comparing the fingerprints to a database of ice measurements back home, researchers hope to figure out the molecular compositions, temperatures and phases of matter covering Pluto’s surface. The ice lab at Northern Arizona University has been focusing on creating and measuring ices with different proportions of methane and nitrogen in preparation for the incoming Pluto data. 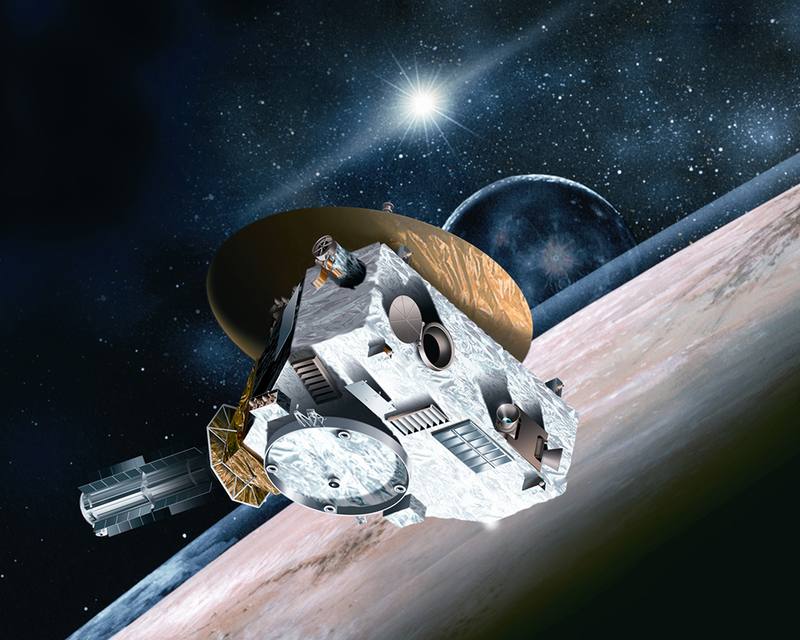 They’ve also begun to incorporate some of the other molecules observed on Pluto to create ices of even greater complexity, Will Grundy, an investigator at the lab, astronomer at the Lowell Observatory and co-investigator on the New Horizons mission, told Space.com. Any new ice observations from Pluto’s surface that can’t be found in the database that Grundy and his colleagues have created will mean another trip to the lab to try and match those measurements. “We’re going to be getting observations from Pluto with New Horizons that are going to light a fire under our butts,” Grundy said. Add combinations of different elements into the mix, which change at different temperatures, and it gets complicated fast. “Every combination, it’s almost like we’ve got to come up with a new recipe to grow that very clear ice,” Tegler said. Adding carbon monoxide, another gas present on Pluto, makes the recipes even more devilishly difficult — but also more useful to pinpointing the conditions on different parts of Pluto’s surface, which might have the molecules in different proportions and temperatures. “From the point of view of doing remote sensing, anything that changes is something that you could hope to detect from a telescope or from a spacecraft, so that’s a valuable thing to know about,” Grundy said. Any unexpected, strange or inexplicable measurements will require new ices and new analysis to interpret. The lab has only scratched the surface on the gases the probe might encounter, say the team members. “There are some things I haven’t worked up the courage to try,” Grundy said. “Another species that’s on Pluto is hydrogen cyanide, which is even more toxic [than carbon monoxide] — and worse, it can be explosive as well,” Grundy said. It takes a village to pull off a decade-long mission to the outer pickets of the solar system. 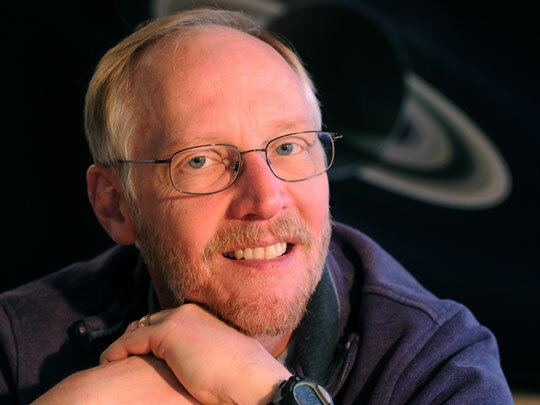 SETI Institute Senior Research Scientist, Mark Showalter briefly discusses the discovery of Pluto, its moons and the Kuiper belt then goes on to tell us what we might expect to see when the New Horizons spacecraft approaches Pluto. The SETI Institute is deeply involved with the New Horizons mission to Pluto, and several of our scientists are awaiting results that could truly revolutionize understanding of the solar system’s early history. We’ve listed these people below, together with brief descriptions of their interests. As you can imagine, they are eagerly awaiting the data that are already streaming back from the spacecraft. The flyby of Pluto will forever transform this storied world from an enigmatic dot of light to one that we will know far better than the ancients knew the Earth. 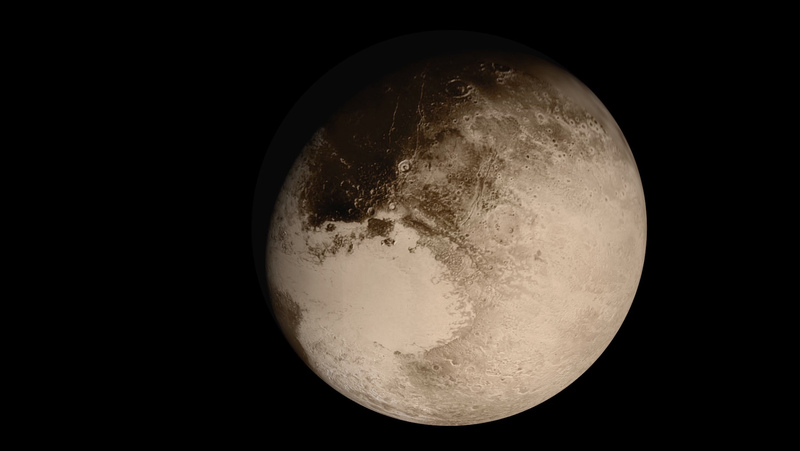 New Horizons is about to shift the study of Pluto from astronomy to geology. 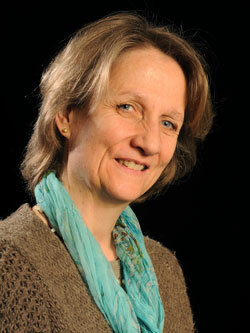 Meet some of the scientists who are making this happen. 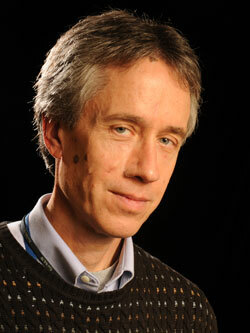 Mark Showalter is a Senior Research Scientist at the SETI Institute, and a member of the New Horizons Science Team. His particular focus is making sure that the spacecraft sails past Pluto without suffering damage due to dust or small particles. Keep in mind that most of the information collected by this craft will only be radioed back after the flyby, so a smooth passage is absolutely essential. This is not the first time Mark has been uncovering new information about the outer solar system. In addition to finding two of Pluto’s five known moons, Styx and Kerberos, he discovered two moons of Uranus and one of Saturn. 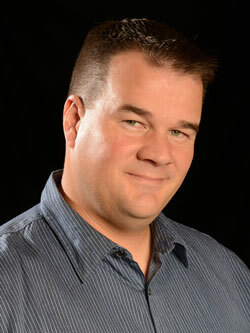 David is a Co-Investigator on the New Horizons mission, and a member of the Atmospheres Science Theme Team. By using an on-board transmitter, Hinson will be exploring the atmospheres of both Pluto and Charon by means of radio occultation measurements. 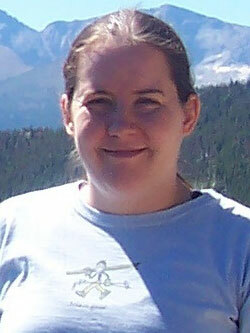 Planetary scientist Angela Zalucha makes analytic models of planet atmospheres. The New Horizons results will guide her work by accurately determining Pluto’s diameter, the temperature near the surface, and the distribution and composition of ices on its landscapes. This information will help solve mysteries about Pluto’s atmospheric circulation (i.e., its weather and climate) including such things as wind strength and direction. Ross is a member of the New Horizons Geology and Geophysical Imaging sub-team, and participates in image processing and geological interpretations. As data continue to stream back from the spacecraft over the next year, he will be building the first 3-D terrain models of Pluto’s surface. Ross will also be making sure the images are correctly mosaicked together, and will be one of the Pluto system’s first cartographers. Cristina studies organic compounds often found on the surfaces of planets, and in particular the types of compounds known as tholins – blackish materials that form when ultraviolet light from the Sun hits water, ice, methane, and nitrogen. This dark, low-temperature material may cover some of the worlds in the Pluto system, and understanding how it was formed and where it is found could offer us important clues to life’s origin. What a difference 20 million miles makes! Images of Pluto from NASA’s New Horizons spacecraft are growing in scale as the spacecraft approaches its mysterious target. The new images, taken May 8-12 using a powerful telescopic camera and downlinked last week, reveal more detail about Pluto’s complex and high contrast surface. These images show Pluto in the latest series of New Horizons Long Range Reconnaissance Imager (LORRI) photos, taken May 8-12, 2015, compared to LORRI images taken one month earlier. 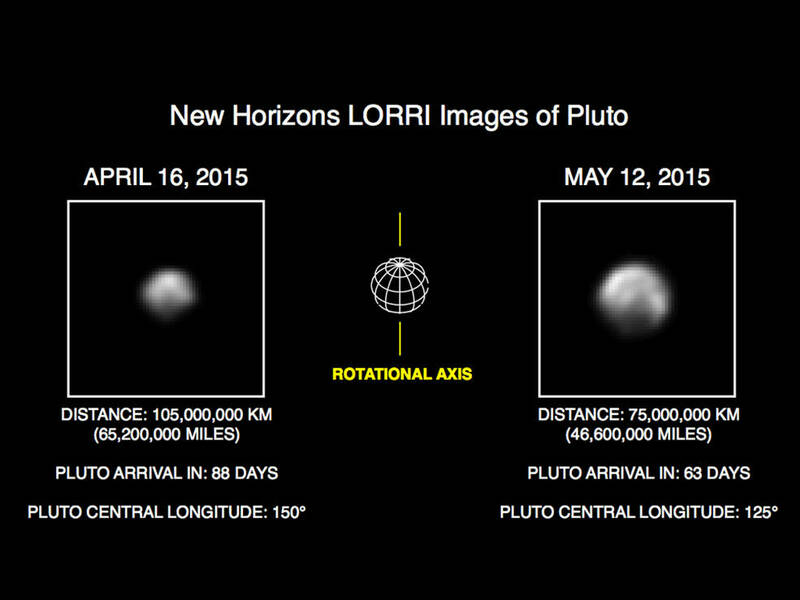 In the month between these image sets, New Horizons’ distance to Pluto decreased from 68 million miles (110 million kilometers) to 47 million miles (75 million kilometers), as the spacecraft speeds toward a close encounter with the Pluto system in mid-July. The April images are shown on the left, with the May images on the right. All have been rotated to align Pluto’s rotational axis with the vertical direction (up-down), as depicted schematically in the center panel. Between April and May, Pluto appears to get larger as the spacecraft gets closer, with Pluto’s apparent size increasing by approximately 50 percent. Pluto rotates around its axis every 6.4 Earth days, and these images show the variations in Pluto’s surface features during its rotation. These images are displayed at four times the native LORRI image size, and have been processed using a method called deconvolution, which sharpens the original images to enhance features on Pluto. Deconvolution can occasionally add “false” details, so the finest details in these pictures will need to be confirmed by images taken from closer range in the next few weeks. All of the images are displayed using the same linear brightness scale.